There are many opportunities to increase efficiency and reduce labor costs throughout the enterprise using a hands-free computing solution; including but not limited to: small parts picking, case picking, large package handling, sortation, and truck loading. 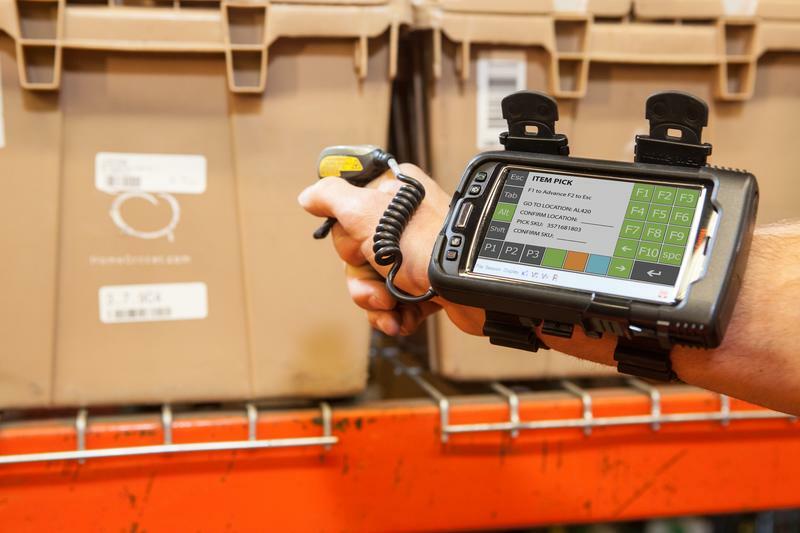 Using the rugged enterprise class Dolphin 70e mobile device with purpose built wearable accessories provides a new approach to enabling hands-free operations to help organizations streamline operations and improve productivity, without the cost and hassle of reengineering existing processes. Featuring a more comfortable and hygienic armband than conventional wearable’s, the Honeywell Dolphin 70e Wearable Solution is designed to wear for extended periods of time and be easily shared between workers. With its large display, flexible touch screen keypads, WEH 6.5 architecture, and support for tethered and BT ring scanners- the Wearable Solution is ideally suited to give workers the freedom of movement to maximize workflow productivity. 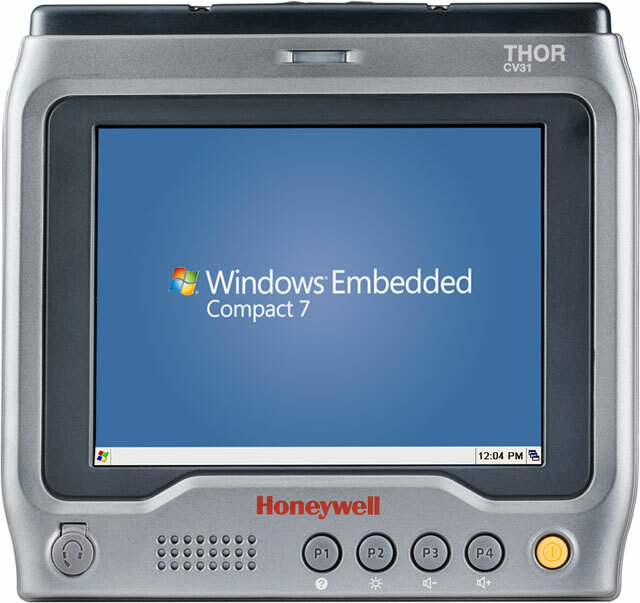 As distribution center operators look ahead to stay competitive in 2015 and beyond, Honeywell has announced two new innovative products designed to boost operations – a versatile hands-free wearable solution engineered to drive efficiency, productivity and accuracy inside the four walls of the warehouse, and the Thor CV31 vehicle mount computer, combining the latest computing technology into a compact enclosure that minimizes driver obstruction. Both products will be on display at the 2014 Pack Expo International in Chicago from Nov. 2–5, 2014. Featured at the show is the Thor CV31 vehicle-mount computer. Suited for warehouse operations, the CV31 displays supply chain workflow information in a manner that is easily seen, within reach, yet never in the way.